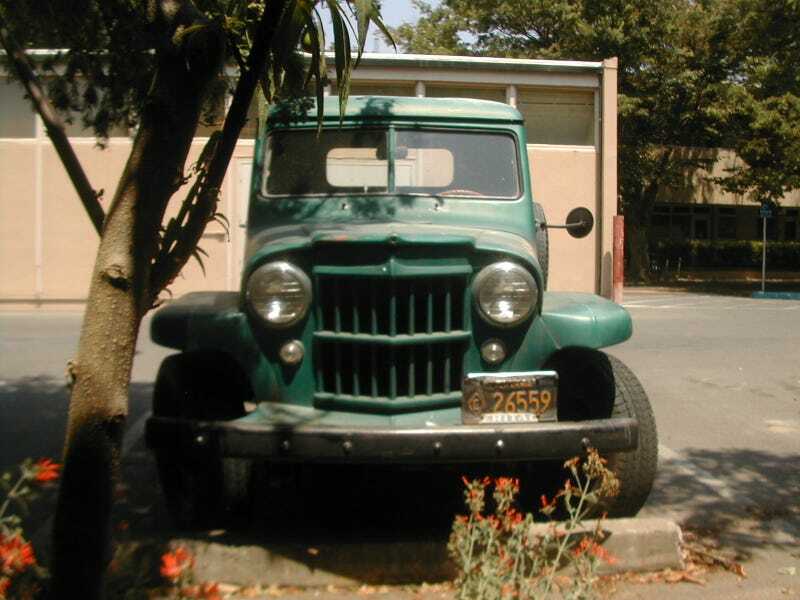 I remember when UC Davis still had an old Willys truck in one of their departments. Must have been some super old school ag professor or something. Shot this back in the summer of '08. No clue if it still lives. I was just learning how to use a point-and-shoot, so the warnings to student drivers like 'please do not drive over 30 M.P.H are out of focus. Damn was this one cool truck.